We all want to have some furry and lovable pets at home. But the question is: are we ready to have one? It’s not exactly a walk in the park, (at least not all the time). Because having a pet entails so much responsibility and commitment, first time pet owners may find it a little difficult and eventually end up getting stressed out. Which is no good for them or their prospective pets. Pets are living creatures with deep feelings and poignant emotions. We need to keep that in mind and endeavor to maintain a good relationship with them. Too often, pet owners resort to punishment for minor infractions. Punishment is a poor tool for shaping a pet’s behavior in most situations. Physical punishment and harsh scolding are likely to bruise your relationship and can often lead to more serious problems down the line, such as aggression or anxiety. Never swat, spank, thump shake or yell at your puppy or kitten. Avoid doing anything that makes your pet act frightened or reluctant to approach you. We need to train dogs and cats to have good behavior. Teaching them tricks is a positive way to gain respect. Building a sense of trust is key to letting your pet know you’re there to take care of it. Teaching them tricks should start at the very beginning. The day you bring it home needs to be the first day of obedience school. Praise and appreciate the good behavior with food or affection. If the pet gets positive reinforcement for their actions, they begin to associate the actions with the rewards. Even if the rewards are something as simple as petting and praise, the investment in positive reinforcement will pay big dividends in the long run. They will learn to repeat their appreciated actions to get the same positive reinforcement from you. This also helps develop a sense of communication. Establish a different tone or hand gesture for positive and negative reinforcement in order to help your pet differentiate whether its actions were good or bad. Spend quality time with your dog by taking it on long daily walks, going to the park, or throwing a ball. 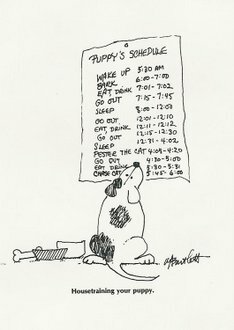 The standard puppy stuff isn’t that complicated. Part of why we love them is that they’re so easy to please. Set up a routine with your dog that he or she can look forward to, that way it’ll know and be comfortable with whatever comes next. 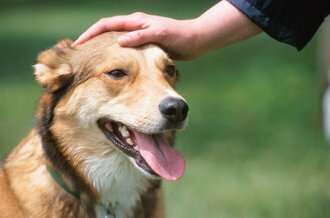 And always remember that simple petting helps your dog to feel comfortable and strengthens the bond between the two of you. It also serves as one-on-one attention upon which dogs thrive. At the end of the day, whether or not we’re ready to have a pet at home is a big decision requiring a lot of serious thought. We need to be prepared for the ups and the downs, but most importantly we need to show that we love them, and that means going the extra mile to put in the time.